Winnie's, the artisanal bubble tea specialist from Taiwan, has opened its first outlet in Singapore and South-east Asia at Fusionopolis. Known as Winnie Drinker in Taiwan and Beijing, it was launched in July 2012 in Kaohsiung and is named after founder Stanley Wang's then girlfriend, who is now his wife. It has nine outlets in Taiwan and six in Beijing. All the tea-based drinks are made from five base teas: Smoky Blossom Green Tea (jasmine), Black Tea, Nantou Mountain Spring Tea, Charred Oolong Tea and Legendary Jingxuan Tea, which has won many awards in Taiwan. Winnie's imports its preservativefree pearl ingredients from Taiwan before making the pearls by hand daily. It also uses organic fruit. Signature selections include Organic Fuji Apple (above right), Apple Milk-Topped, Afternoon Milk Tea, Black Sugar Milk Tea and Lychee Rose Nectar. The drinks are priced from $2.20 and toppings include pearls, aiyu jelly, basil seeds, nata de coco, grass jelly, pudding and aloe vera. To celebrate its Singapore launch and the festive season, it isoffering two Christmas drinks ($4.90 small/ $5.90 large) - Strawberry Milk Smoothie and Milk Topped Silk Cocoa - in Christmas cups with a free upsize to a large cup. The promotion is until Dec 31. The brand plans to launch another three outlets in the first half of next year. At FrapasBar, French restaurant Saveur has married French cuisine with tapas-style food (the name "frapas" is derived from French and tapas), accompanied by a bar. Its second outlet opened earlier this month at The Cathay. The first is at Century Square in Tampines. The menu is quite different from Saveur's, with dishes such as Valrhona Beef Bourguignon ($14++), Escargot on Bone Marrow ($20++) and Octopus Leg ($15++). Other items include Crabmeat Croquette ($9++), Seafood Bouillabaisse Pasta ($16++) and Pariser Schnitzel pork cutlet with cereals and red cabbage compote ($13++). There are sweet treats ($8++ to $9++) such as Earl Grey Creme Brulee and Berries Clafoutis. Lunch sets (starting at $15++) are available. 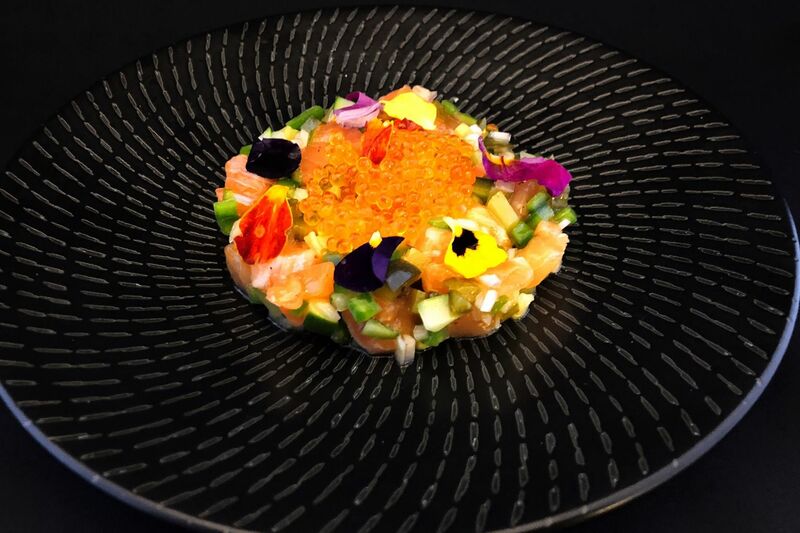 Choose from dishes such as Saveur Pasta, Salmon Tartare (above), Botanical Salad and Rillette Dumpling; and another dish from items such as Mackerel Escabeche, Garlic Prawns, Rosemary Smoked Chicken, Valrhona Beef Bourguignon, Pariser Schnitzel, Seafood Bouillabaisse and Bolognese Risotto. This 200-seat restaurant occupying two storeys in Marina Bay Sands takes over The Bird Southern Table & Bar and adopts the official name of the American parent company, which has locations in Miami Beach, Las Vegas and Los Angeles. Yardbird introduces new features, such as alfresco seating overlooking the Marina Bay promenade. Making its debut is the weekend Great American Brunch, with set menus ($25++ to $36++) and a la carte items such as the All American Breakfast ($20++) and Chicken 'n' Watermelon 'n' Waffles ($40++). There are also acai and granola bowls and gluten-free waffles. 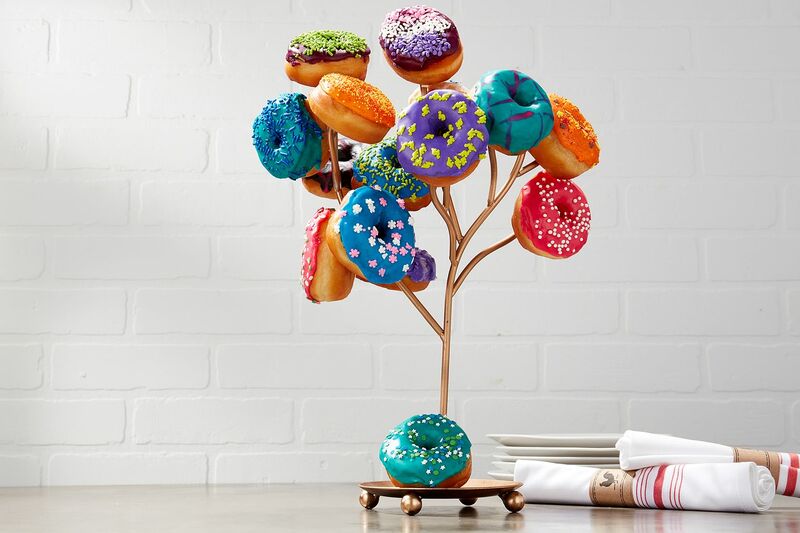 New dishes include Funfetti Pancakes ($22++) and Doughnut Tree (above, $16++) - created by two-time James Beard Awards finalist Hedy Goldsmith; and the Yardbird Chicken Sandwich, which features a 100-year-old fried chicken recipe and a spice blend said to be 400 times hotter than Tabasco sauce. Gin & tonic cocktails have been added to the bar's selection, along with bar bites ($5++ to $16++) such as Nashville Chicken Wings.